Medical Assistance for Families with Children (MAF)—Provides health coverage for children through age 20 and for parents or caretakers of children who are 18 years old or younger. Income and reserve limits are considered in eligibility. Medicaid for Indigent Children (MIC)—Provides health coverage for children through age 18. Family income can range from below the poverty level up to 194% of the federal poverty level or less. Medicaid for Pregnant Women (MPW)—Provides health coverage for pregnant women. Income levels are 196% of the federal poverty level or less. 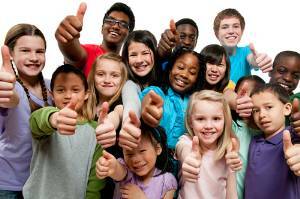 NC Health Choice for Children—A health insurance program for children through age 18. Family income must be at or below 211% of the poverty level. In order to receive NC Health Choice for Children a child cannot be eligible for Medicaid or be covered by private health insurance. The family may be required to pay an enrollment fee of $50 per covered child ($100 maximum per family) per year and pay a co-pay for medical services. If you discontinue existing medical coverage in order to receive NC Health Choice for Children, your children will not receive NC Health Choice until the month following the termination of insurance. Eligibility is based on meeting all the required program eligibility requirements.